Recommended For: Diners who enjoy excellent "dry-aged" steaks and seafood, with upscale, trendy ambiance and are willing to pay higher prices for the experience. Recommended dishes: When available, Bone-In Kona Crusted Dry Aged Sirloin with Shallot Butter; The Sushi-Grade Sesame Seared Tuna with Gingered Rice; and The Porcini Rubbed Delmonico with 12-Year Aged Balsamic. Liquor: An international wine list with over 5,000 wines, specialty cocktails. Bar scene is vibrant. Personal wines welcome with a corkage fee. Personalized wine lockers are available to guests for an annual fee to house their individual collections. The Capital Grille, a high end steak house chain with a national reputation among those who enjoy fine dining, now has two locations in New Jersey and is one of the top steak houses in NJ. 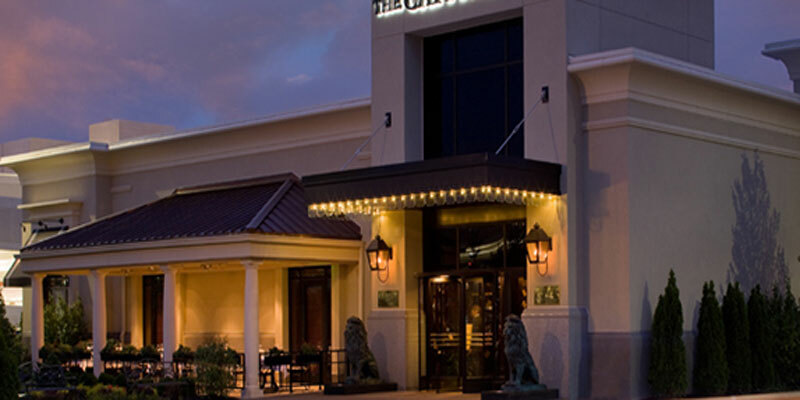 The Capital Grille is part of the Darden Restaurant Group that includes: Red Lobster, Olive Garden, Long Horn Steak house, Bahama Breeze and Seasons 52. The interior has an elegant, "clubby" feel to it. As you enter, the first thing you come upon are the personalized wine lockers with the name of each owner prominently displayed. The decor consists of dark, African mahogany wood, fancy horse paintings, stuffed deer and elk heads displayed on the wall, a giant eagle sculpture set in front of the open airy kitchen, and soft lit art deco chandeliers that give off an ambiance of an elegant, refined, board room. The tables are set with linen tablecloths and unscented votive candles. The bar scene is vibrant, and trendy. If the only reason you dine out is for the food, you can expect to be served large portions of excellent dry aged steaks and fresh daily seafood. They do all of the dry-aging and butchering on the premises. The Capital Grille, while serving excellent "dry-aged" steaks, the quality of their beef falls a level below the top tier steakhouses such as Morton's and Ruth's Chris who use USDA Prime beef. USDA choice, a grade down from USDA Prime, is served at The Capital Grille. Service is old school with tuxedo dressed servers that are well trained, attentive, and professional ---- without being stuffy. When making a reservation, if you are celebrating a special occasion, let them know the occasion. For example, for an anniversary you can expect to have a rose placed on the table along with a special cake for dessert. The Capital Grille also offers a gluten-free menu, and in the warmer months, outdoor patio dining. The Capital Grille also offers private dining for up to 24 guests.